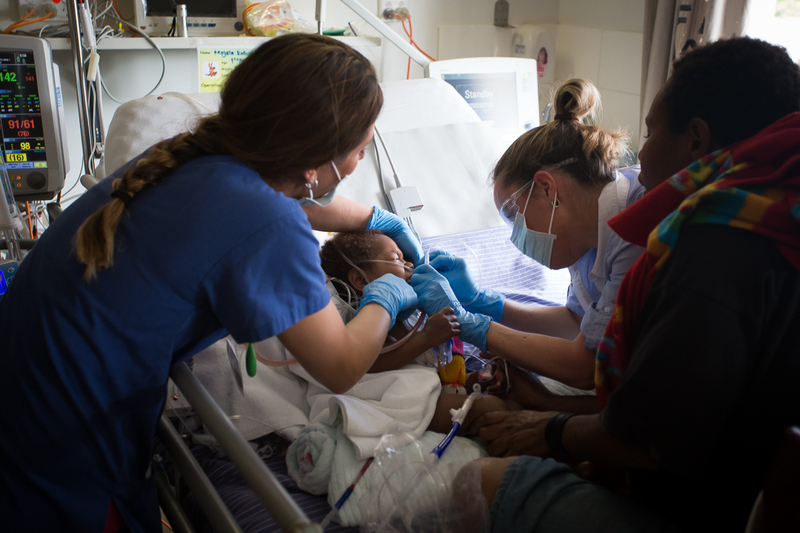 Liz has joined the Open Heart International (OHI) team for the first time here in Papua New Guinea! 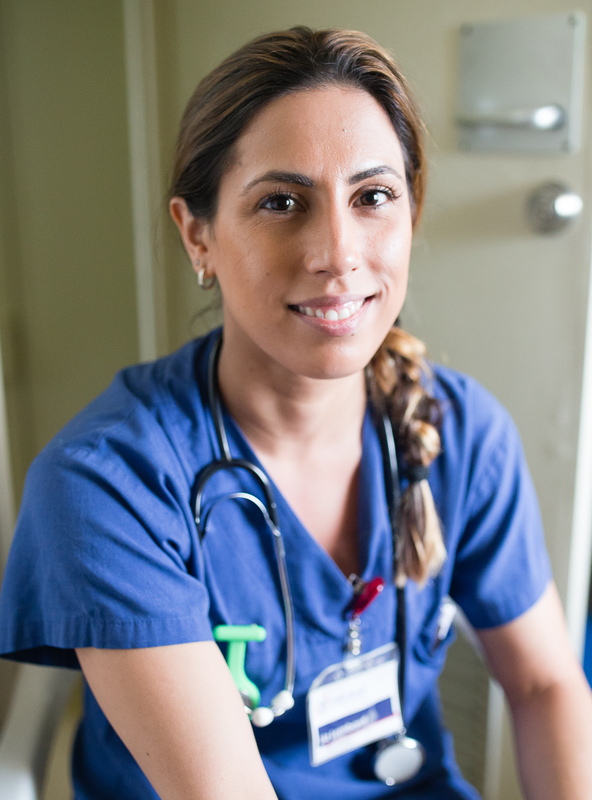 Her role is that of a paediatric ICU nurse and along with the other amazing ICU staff her job is to take care of the patients as they come out of theatre. 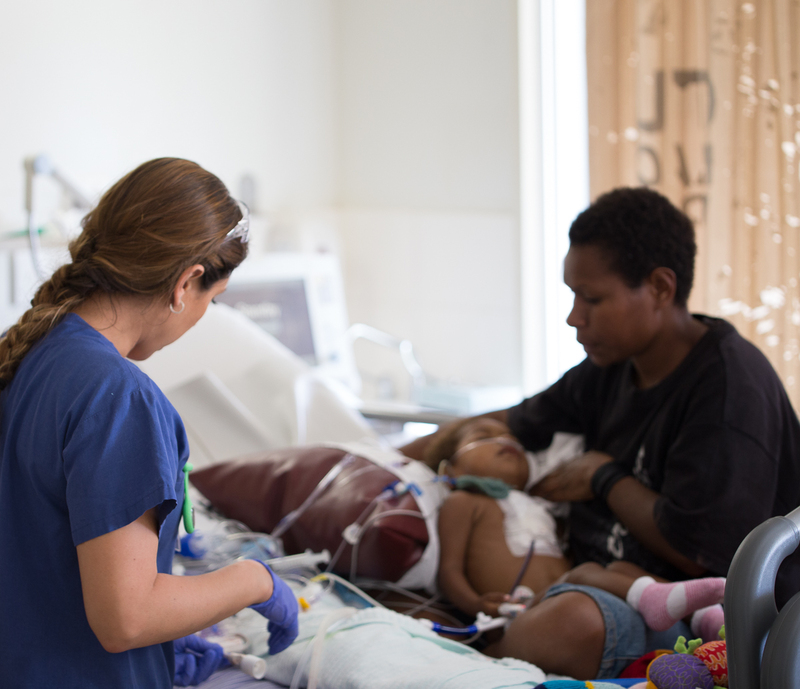 Liz was “encouraged” by a friend who had previously been to PNG as a nurse, knowing that Liz had long held an interest in volunteering for similar work, but had yet to take the leap. While Liz has experienced travelling to locations like Europe and Thailand for personal travel, Liz describes her first moments with OHI as ‘an eye opener’. “Speaking to people who have been on these trips before talk about the drastic change in facilities and budget from what I am used too…it was definitely a shock. At home I have access to anything I need… and in other places of the world this is not an option”. Liz explains. Liz originally started out as a sports trainer for a community team and decided she had an interest in emergency and trauma work. She then started her career working in paediatric emergency. After doing some education in paediatric ICU she decided she loved the work so much that she was going to stay in the role. Liz is now based in Adelaide at the Adelaide Women’s and Children’s Hospital working in paediatric ICU.